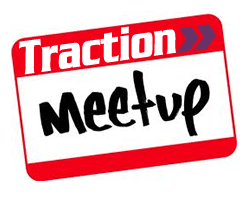 Traction is a social network of left-leaning movers and shakers who are spicing up progressive activism by throwing fun, issue-based events that inform, inspire, and connect us with other savvy progressives. Some call us the gateway drug of activism . . .
Is it all just about having fun? You say it like there’s something wrong with that! But seriously, the fun is a means to an end. By creating events that people truly WANT to do and building a community with role models and positive reinforcement, we make activism relevant, hip, and appealing, and we foster civic participation. It’s what the academics call social learning theory. The more passionate among us rub off on others, and we pull each other in a leftward, active direction . . . while picking strawberries. Sometimes, we don’t know how to start getting involved in changing our world. Becoming an activist or more engaged in causes that inspire us can be an overwhelming prospect. What’s it like to go to a march? What behaviors do I need to change to protect the environment better? Where can I talk with someone else about my progressive ideals without getting into an argument? Maybe you’re new to the area and not sure you want to join in with an established organization just yet. Traction provides an easy way to take that first step and get to know others who are also taking that step as well or are further along in promoting progressive causes. We learn from each other along the way. In other words, to get an object, a human, a car moving, we need some “foothold” for the energy to be transformed into movement. If our feet do not find a surface with good grip (traction), our legs and feet could not move us forward.